If you are residing in Perth, you have probably wondered how to get a good solution provider for cleaning equipment services. We understand this could be a tedious task especially if you are not a resident of this area. It will take you more than just walking around before you get the best provider of cleaning services. The easiest way to identify a reliable and professional cleaning solution provider would be through referrals. People who have previously used search services might have an idea on who is the best solution provide for cleaning services. Such a company should be able to offer prompt services with good customer care department. They should have an efficient service and repair centre where you can get parts and service in case your equipment breaks down. Alphaclean provides the best cleaning solution in Perth. We have advanced floor polishers that you can use for all your cleaning services. Our machines are durable, robust and have been developed after many years of research to give you the best cleaning solution ever. We offer great after sales service and have well trained technicians to assist you with any queries that you may have with our floor polishers. Areas we cover include Brisbane, Sydney, Melbourne and Adelaide. We offer hire services for floor polishers in Perth. Our costs are the lowest in Australia while we provide the most advanced scrubbers for rental. 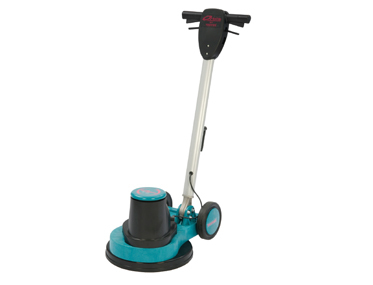 Our floor polishers come in different models including walk behind and ride on. We also have battery operated floor polishers and electric for your own convenience. Alphaclean also offer floor polishers for sale. They include ride on and walk behind models. Our floor polishers are powerful and robust and will do your all you’re cleaning in one swipe. If you are looking at owning one of our floor polishers, then pay us a visit for the best deals.